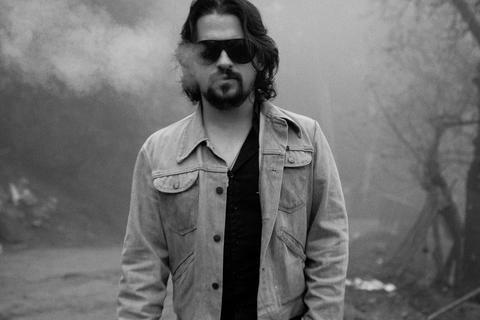 Make no mistake about it, Shooter Jennings has never been one to allow expectations, boundaries, genre or ideals dictate the direction of his art. From the moment he burst onto the scene with his debut album Put The O Back In Country it was clear that he had a style and a vision all his own that would separate him from the leagues of cookie-cutter artists out there. Along with his debut, 2006’s Electric Rodeo and 2007’s The Wolf brought critical acclaim and continued to elevate Shooter to his own unique place in music and culture. In 2008, Shooter left Universal South records and formed Black Country Rock, his own brand and label which he would begin releasing under. He then released Waylon Forever, an album that began with Shooter and his father, country music legend Waylon Jennings, having fun in their home studio in 1996, and being completed with Shooter’s then backing-band, the .357’s, supporting the late singer through a rock and roll romp of epic proportions. But it wasn’t until 2010 that we began to see the real Shooter. Black Ribbons, described by the LA Daily News as “...one wild, paranoid, anti-establishment mash-up of psychedelic theater,” was an expansive futuristic concept album featuring the voice of master horror author Stephen King as ‘Will O’ The Wisp,’ a controversial late night radio talk show host who was in his last hour of broadcast. The album paints a grim picture of a government-controlled future stripped of its right to free speech and controlled by fear. Black Ribbons has been praised by many for its increasing relevance in the current state of the world. On the record, Shooter and the .357’s masqueraded as fictional band Hierophant, an anti-N.W.O band who Will O’ The Wisp chooses to play throughout his final show. Although it flew mostly under the mainstream radar, the album has gained a cult following and often is regarded as Shooter’s magnum opus. Shooter even programmed and designed a web-based adventure game which took place within the world he had created with Black Ribbons to coincide with the album and build upon its storyline. In 2011, Shooter briefly moved to New York City, assembling Brooklyn-based band The Triple Crown and released Family Man, returning to his country songwriter roots and painting a deeply personal picture of his family life. Family Man was released on March 3rd, 2012, and Shooter hit the road touring in support of his latest release. During the recording sessions for Family Man, as in life, things began to shift and change and The Other Life began to take form. Over the duration of 2012, Shooter and The Triple Crown finished work on The Other Life, and Shooter and long time video-collaborator Blake Judd began planning an expansive film counterpart to the album. Shot across Tennessee, Kentucky, Nevada and California, The Other Life film paints a story of isolation, temptation and rebirth through visual storytelling. As an album, The Other Life sees Shooter using all the colors of the pallets of previous recordings, and bringing them together to make his most diverse and interesting album to date. He enlists the help of friends and icons alike, Austin Texas madman Scott H. Biram shares vocal duties on the Steve Young penned “The White Trash Song,” Patty Griffin blesses “Wild and Lonesome” and Black Oak Arkansas’ Jim Dandy preaches alongside Shooter in the Black Oak Arkansas lost gem “15 Million Light-Years Away.” But it is with the closing “The Gunslinger” that we see a portrait of a man hell bent on making art his way no matter who may try and get in the way. In 2012, Shooter also began work producing records for other artists. On March 12th, the same day as The Other Life’s release, Lexington, KY dirt rock band Fifth on the Floor will release Ashes & Angels, the first of three records Shooter produced the previous year. Jason Boland’s Dark and Dirty Mile will follow, as well as a yet-unnamed record with Reno’s Hellbound Glory. In addition to his music, Shooter has been a DJ on SiriusXM’s Outlaw Country channel for seven years and counting, his show broadcasting Saturdays at 6pm EST and replaying Sunday and Thursday. Shooter has developed the show as a platform to play many underground roots artists that otherwise see no exposure to the masses. In 2011 he also developed GiveMeMyXXX.com and MoonRunners.com, two resources to expose this type of music using his influence and platforms. In the long run, in his short time here Shooter has been a very prolific and daring artist. Dangerous in his disregard for rules put upon him by the greedy. Deceptive in his unpredictability. Bound only by the progressive evolution of music and controlled only by will and determination, Shooter Jennings will never be able to placed upon a shelf or chained to a simple concept. But as dreams and nightmares continue to blossom and reality continues to crumble, there is comfort to be taken in the fact that artists like Shooter still care about art and disregard the rigid restrictions put upon it by corporate slave-drivers and the mainstream gatekeepers.